Dentistry is now a modern, state of the art experience. However, many people still fear of going to the dentist. If you are a fearful dental patient, sedation dentistry is made for you. You will be relaxed and comfortable throughout your appointment and may not even remember your treatment. Your dentists at East Ellijay Family & Cosmetic Dentistry in East Ellijay, GA would like to help you discover the relief of sedation dentistry. Using a combination of sedative medication, your East Ellijay dentists can help you feel calm and completely comfortable while you get your dental treatment completed. When you are relaxed, your dentists can get more of your treatment completed in a single visit. If you want to experience relaxation but still be awake enough to respond to people, minimal sedation might be what you want. You will take oral medication, and may also be given nitrous oxide gas. If you want a deeper level of relaxation but still be able to respond to commands, moderate sedation would be great for you. You will take either oral medication or have intravenous medication. If you want to be completely asleep and not remember your appointment, deep sedation is what you need. You will be given injected medication, oral medication and possibly nitrous oxide. Sedation dentistry can give you the help you need when you fear going to the dentist. You can feel confident knowing you will be relaxed and comfortable during your appointment. Your dentists at East Ellijay Family & Cosmetic Dentistry in East Ellijay, GA want to introduce you to the safety and comfort of sedation dentistry. If you need to have dental treatment, fear not! Help is just a phone call away. 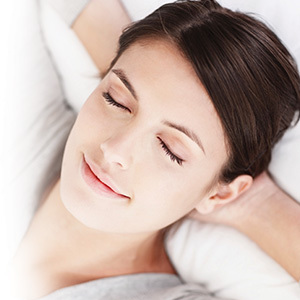 Experience sedation dentistry for yourself and call today!